I figured the "birth of the mushroom" would be a good start, especially considering the fact that it would correspond to Christmas, the most celebrated holiday. What's interesting is that this time of the year is also celebrated by just about every religion and belief systems. The similarities are somewhat intriguing. 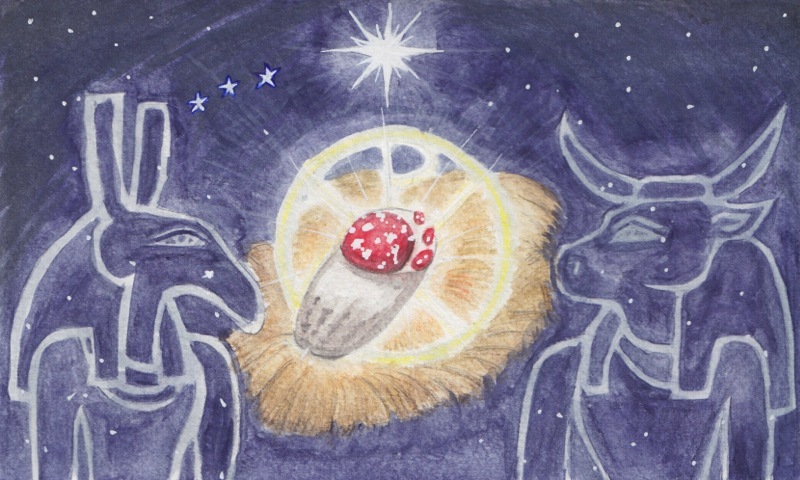 After assembling various theories on the subject from Christianity, Ancient Egypt mythology and well as astrology, I came up with this rendition of the nativity scene with respect to the mushroom theory.